Last week on the phone with 3 different clients, I found myself explaining to them how to take a screen shot of what they wanted to show me. All 3 of them were amazed that they now could take a screen shot of anything on their Mac. Keyboard shortcuts on Mac Operating System are not only time savers, they are also just cool. 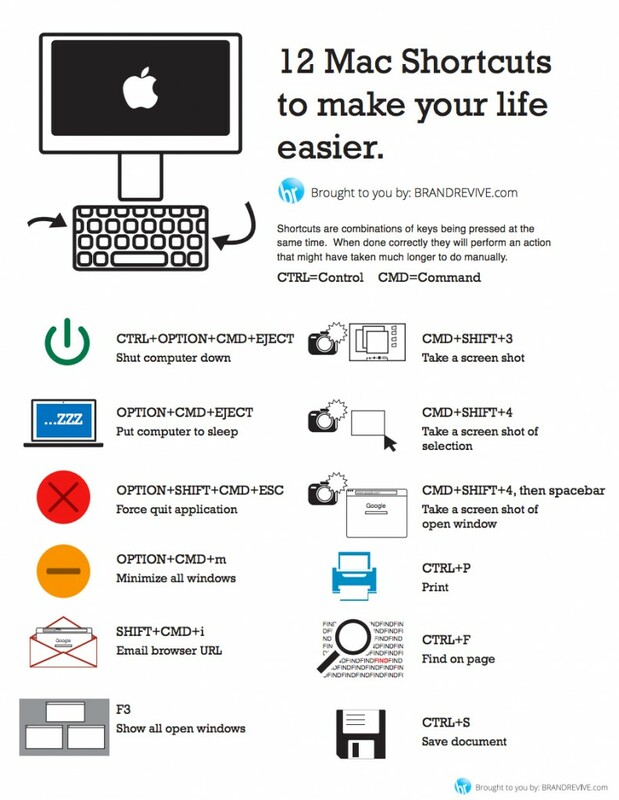 There are many mac shortcuts, but we selected the most helpful ones, and created a cheat sheet you can print out and keep it handy. (Don’t worry Baby Boomers, Brand Revive classes are coming soon!) Click on the image below or here to save/print the cheat sheet.